Miss Winter's Demise And Other Crimes Against Poetry is a new release from Matador press. A light-hearted collection of comic verse by Paul Minton, ideal for independent readers aged around 7-8 + and great for more reluctant readers who might be daunted by huge pages full of text. 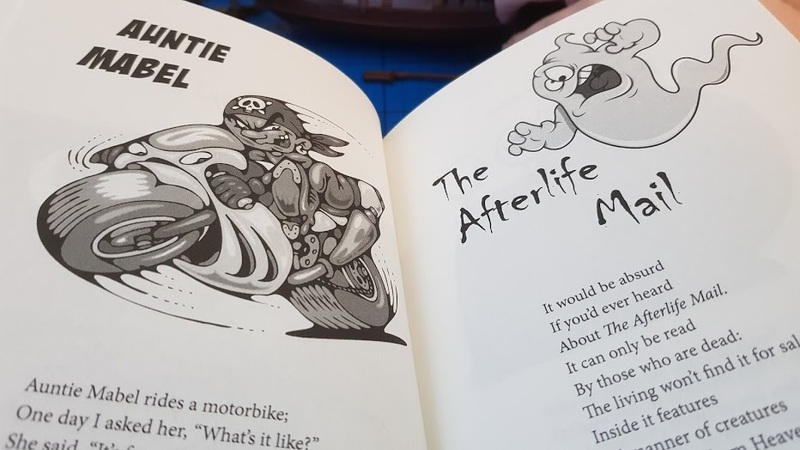 As you might have guessed these poems are funny and very much what children like to hear and read, they're also often a little bit dark, in that Roald Dahl way, with deaths and disasters befalling some of the more unfortunate characters in the book. Including of course the poor Miss Winter. None of the poems are very long and each has it's own illustration, so this is an excellent choice for a less confident reader. The verses rhyme and have a great sing-song rhythm, so this is a very light read and very different from reading a chapter book - it's also great for reading aloud. Often children see poetry, especially funny poetry, as an easy option and then read far more than they would have done with a straight up fiction book. The language used is easy for 7 to 8 year olds to understand and the poems don't cover any tricky concepts or in-depth topics - messy bedrooms, flies, pirates and just about anything an 8 year old can think of are featured. There are an impressive 42 poems over the 72 pages and a good few genuine laugh out loud moments. My boys and I really enjoyed the whole book. I particularly liked 'The Mess' - a cautionary and very short verse about a messy bedroom and my sons' favourite poem is the eponymous 'Miss Winter's Demise' - a very clever tale with a twist or two that you won't spot coming. 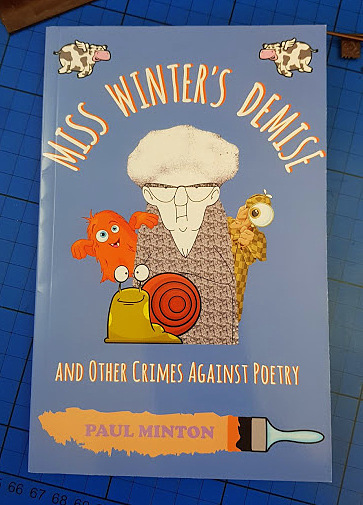 Miss Winter's Demise And Other Crimes Against Poetry is written by Paul Minton, published by Matador Press and available now, rrp £6.99. Available now from all good book stockists, in store and online, including Amazon (affiliate link). 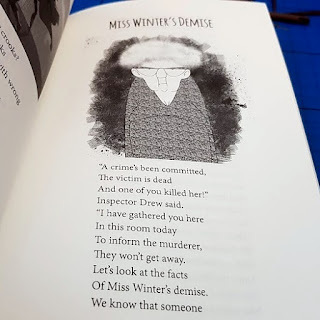 We were sent our copy of Miss Winter's Demise And Other Crimes Against Poetry for review. I'm an Amazon affiliate and will earn a few pennies if you order via my referral link - but I will always tell you if I see a better price elsewhere.